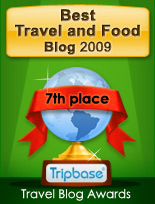 Enjoy - Food & Travel: Summer of 2007: O Barcelona! O Catalunya! 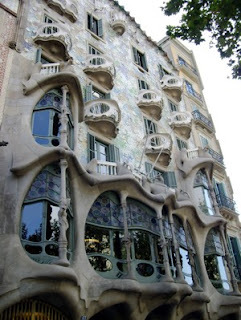 Eight days and seven nights in Barcelona. 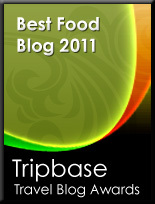 That is the reason why there have been no articles published on Enjoy Food & Travel lately. But now, there are too many stories to tell!! Some of you may say - has this bloke really more to tell on the subject. Well you bet I have. I spent three evenings talking to Antonio and Martin at People Lounge in Eixample, and I had a walk on the wild side to other bars in the area as well. As Oslo has a meager gay scene, going from one gay bar to another in the same area was a great experience. I stayed at a overpriced hotel, and I will tell you why not pay €95 per night not to stay there, or at least not during summer, and I listened to violin music during a great meal at Quatro Gats, where artists as Picasso once were regular guests. I got a great tan during one day on the beach in Sitges - the charming resort south of Barcelona. The best experience was my own pilgrimage to pay hommage to the eternal ruler of Catalunya, the Black Virgin of the Mountain. Stay tuned - there are much to tell! !